Mountain Flight was filmed in part in the Idaho Primitive Area. 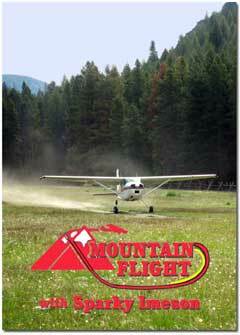 It includes in-flight footage of some of the most beautiful, rugged and demanding mountain terrain in the U.S. It covers flight planning, accident causes, weather, density altitude, approaches, landings, departures, and survival. The weather section includes time lapse sequences of thunderstorms, mountain waves, lenticular and rotor clouds. Graphics are used to clarify, explain and demonstrate the ground and flight procedures for safe operation in the mountains.